Teen Mom 2 - Craziest Season Ever! 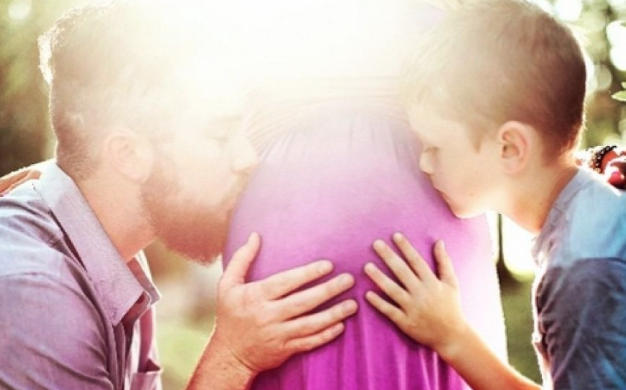 It appears that since the birth of Baby Kaiser who looks exactly like his daddy, things have calmed down between Nathan and Jenelle. But just because they aren't going at it anymore, doesn't mean all is well and peaceful. So all the moms (and their former partners) reunited for the reunion. 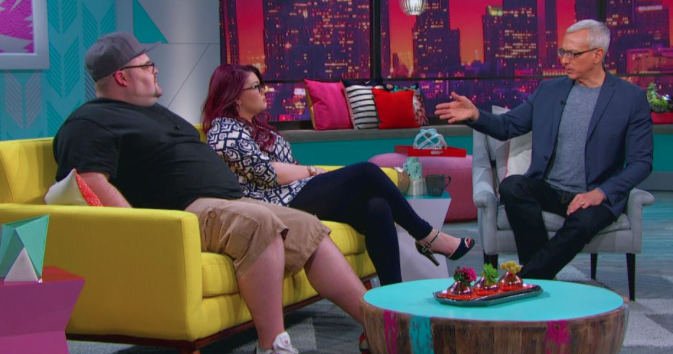 For the first installment, Dr. Drew focused on Maci and Amber. First up was Ms. Prego herself, who since the taping, gave birth to her daughter Jayde Carter. Dr. Drew asked her questions about quitting and resuming filming, which she answered before, but then he went into interesting things, like how she feels Ryan is doing as a parent, and how she got pregnant. Teen Mom OG - Season Finale! The season finale of Teen Mom OG left us rooting for some of the moms, and just plain worried for the others. I'll start with the good stuff. Teen Mom - Is Bentley Safe With Ryan? 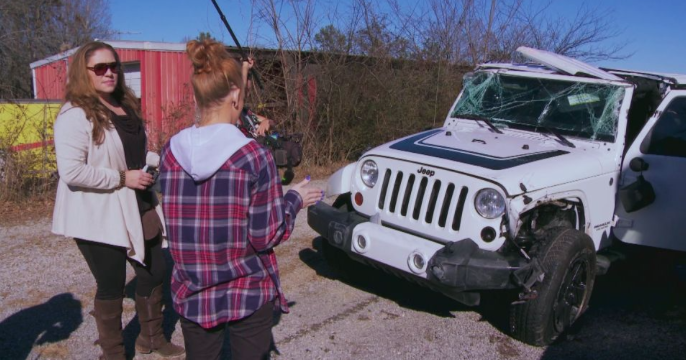 After Maci's showdown with Farrah, as if that wasn't bad enough, she was in a bad car accident on her way home. Her jeep was totaled, and from the looks of it, it's a wonder that she, Bentley, and her unborn baby girl got out of it alive. Ironically, Ryan also was in a bad wreck, but unlike Maci's accident, it was his fault, and he admitted it. He said he was reaching down for his phone, and wasn't paying attention. AND he didn't have his seat belt on! Stupid!! Teen Mom - Maci and Farrah Clash on Camera! Last nights episode of Teen Mom was different than any other episode. Now that the producers are letting the fourth wall come down, we've been allowed to see the cast interacting with the crew and acknowledging that they're on a reality show, but this was the first time that they were all seen interacting together while filming. They all headed to New York to do some press for the new season, and things got pretty awkward between Farrah and Maci.